In my previous post on Climategate I blithely said that nothing in the climate science email dump surprised me much. Having waded more deeply over the weekend I take that back. The closed-mindedness of these supposed men of science, their willingness to go to any lengths to defend a preconceived message, is surprising even to me. The stink of intellectual corruption is overpowering. And this scandal is not at the margins of the politicized Intergovernmental Panel on Climate Change process. It goes to the core of that process. One theme, in addition to those already mentioned about the suppression of dissent, the suppression of data and methods, and the suppression of the unvarnished truth, comes through especially strongly: plain statistical incompetence. Climate scientists lean very heavily on statistical methods, but they are not necessarily statisticians. Some of the correspondents in these emails appear to be out of their depth. This would explain their anxiety about having statisticians, rather than their climate-science buddies, crawl over their work. I’m also surprised by the IPCC’s response. Amid the self-justification, I had hoped for a word of apology, or even of censure. The declaration from IPCC head Rajendra Pachauri that the emails confirm all is as it should be is stunning. Good lord. This is pure George Orwell. Based upon feedback that I’ve received from graduate students at Georgia Tech, I suspect that you are confused, troubled, or worried by what you have been reading about ClimateGate After spending considerable time reading the hacked emails and other posts in the blogosphere, I published an essay that calls for greater transparency in climate data and other methods used in climate research. 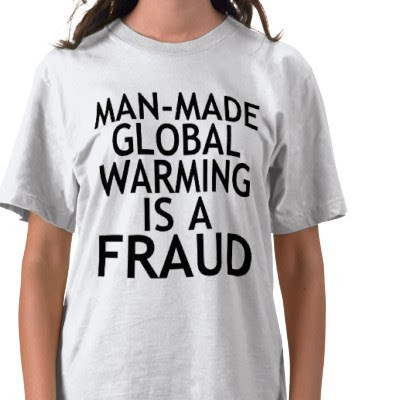 What has been noticeably absent so far in the ClimateGate discussion is a public reaffirmation by climate researchers of our basic research values: the rigours of the scientific method (including reproducibility), research integrity and ethics, open minds, and critical thinking. Under no circumstances should we ever sacrifice any of these values; the Climatic Research Unit emails, however, appear to violate them. I am a young climate researcher and have been very troubled by the emails that were released from CRU. Your statement represents exactly how I have felt as I slowly enter this community. The content of some of the emails literally made me stop and wonder if I should continue with my PhD applications for fall 2010, in this science. I was so troubled by how our fellow scientists within the climate community have been dealing with opposing voices (on both sides). I hope we can all learn from this and truly feel that we are going to need voices like yours to fix these problems in the coming months and years. The tribalism that some of the leaked emails display is something more usually associated with social organization within primitive cultures; it is not attractive when we find it at work inside science. If you are a fan of science, this is a pretty grim day. If you are a fierce partisan on either side of the global-warming issue, you are either gnashing your teeth or clicking your heels. If you are a government official heading to Copenhagen soon for the climate summit, you are probably wondering what the hell you’re supposed to think now.